2. What are seals and what do they tell us? The National Archives holds over a quarter of a million seals dating from the 11th to the 20th century. Much of the collection, which includes a number of significant royal, government and colonial seals, is from the medieval and early modern periods. Use this guide for advice on how to locate and view these seals. Images of some of the seals and related records detailed in this guide are available to view online. Others are not and to view these and the original seals themselves you will need to visit us. The term seal is usually applied to the impression left by the stamping of an engraved metal die or ‘matrix’ which has been pressed into a material such as wax, but it is also used to refer to the matrix itself. Often bearing their owner’s portrait or coat of arms they were used to authenticate documents (such as charters, letters, writs) in much the same way as we use signatures today. Seals were also used literally to ‘seal’ documents, fulfilling the same role today as gum on an envelope. They could either be attached to a document by a tag, tongue, cord, or placed directly on the face of the document. 2.2 What do seals tell us? Seals can tell us much about a seal owner. 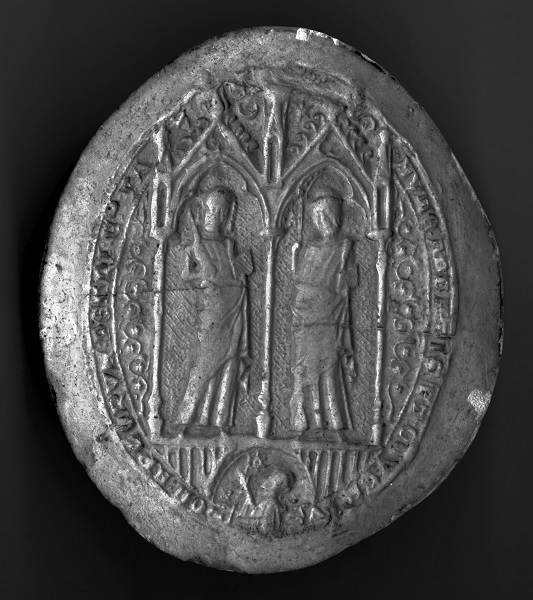 They speak of authority and legitimacy, and the iconography and legend (around the seal circumference) often suggest something about the status of the owner and how they wanted to be regarded. 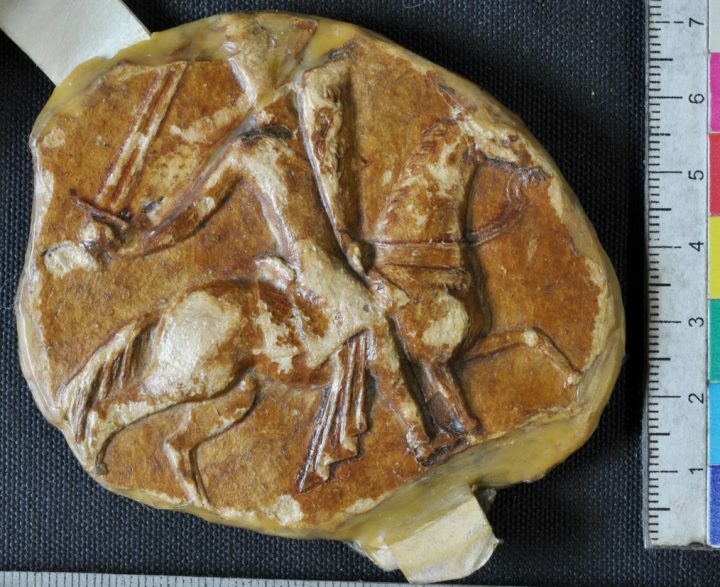 A seal might also help identify and date the document to which it is attached. The National Archives holds around 6,500 plaster of Paris and silicone rubber moulds of seals in our collection. These were created by the Repairing/Conservation Department of the former Public Record Office from around 1880 to 1995 but were never formally accessioned. 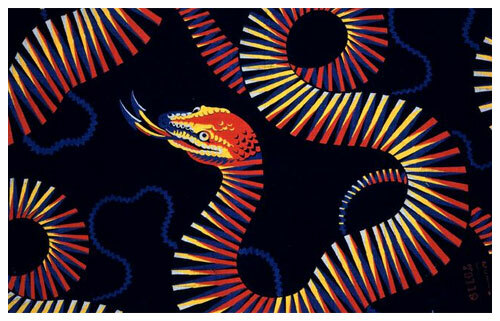 You can now see and download images of them for free via our catalogue. Search PRO 23 by name of the seal owner or by broad category. They can be used in conjunction with the seals card index to identify seals in The National Archives’ collection. Search our catalogue using the search box below to locate over 3,000 digitised images of 2,500 seals from the 12th to the 18th century. This is a search in series DL 25 and DL 26. Search by name, place or descriptive keyword. Each listing in our catalogue contain a description of the design of the seal, for example ‘lion sleeping facing right with four bushes above’ (from the description for DL 25/1336/1067). You can search for seals by matching your search terms to these descriptions. If you wish to start a new search, return to the search box on this page. There is a card index of seals held at The National Archives. You can use it to locate the seals themselves but also for detailed descriptions of the seals. Search QFA 1, the Digitised Seals Register, by category (but not initially by name of owner). For example, to find the great seal of William II enter the search terms, ‘England’ and ‘Sovereign’. Download the card images (for free) and look for William II in the sequence of reigns. Use the typescript Catalogue of Seals compiled by PDA Harvey which includes all the online seals from DL 25 and DL 26 as well as those from LR 14 and LR 15. Consult the name and place index to locate records. Search our catalogue to locate records using keywords and dates. A collection of plaster casts are held by the Society of Antiquaries of London. 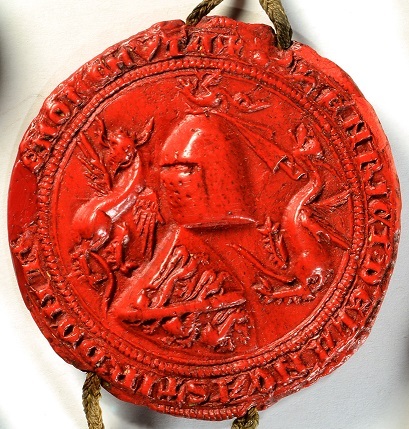 Anonymous seals Ready-made ‘anonymous seals’ were common amongst men of sub-knightly rank in the Middle Ages. The legends of such seals often consisted of a simple phrase or motto; no owner’s name would appear. Thus, if two individuals are found to be using two identical seals this could mean either one has borrowed from the other or they both own identical seals. Armorial Design shows shield of arms or shield plus crest (on a helmet) and/or supporters (either side of shield, e.g. the lion and unicorn). Borrowed seals Seals were often borrowed to authenticate documents. Check the sealing clause in the text of the document to which the seal is attached since the borrowing may be mentioned and the owner of the borrowed seal identified. Counterseal A smaller (often more personal) seal impressed into the back of another. Departmental Small official seals used by departments of the central government. Deputed Great Seals Seals very similar in size and design to the great seal. Used to authenticate documents which had been, or would be, authenticated by the great seal of England. Equestrian Portrait of person (usually in armour) on horseback. Great Seal Every sovereign of England (and later Great Britain) since Edward the Confessor has used a large double-sided great seal nearly always depicting him/her on one side enthroned (in majesty) and on the other on horseback (equestrian). In Majesty The sovereign enthroned usually holding sceptre, sword, orb etc. Legend The name and title of the seal owner, usually beginning with SIGILLUM, ‘seal of …’ which runs round the circumference of the seal rather like the words on a coin. Personal titles in legends help date seals. Obverse and Reverse The two sides of a double-sided seal. Both sides are the same size, like a coin. Referred to in seal catalogues as O and R.
Paper Seals As paper became more common in the 15th century the practice arose of laying paper over the wax which was then pressed with a small matrix. Privy Seal (and Signet) As well as the great seal kept in the Chancery, sovereigns also had a private or privy seal for more personal use. By 1312 this was no longer in the monarch’s control but stayed in the new privy seal office. However, they still needed a private seal of their own, hence the new secret seal or signet. Wafer Seals In the 19th century, wafer seals made of coloured paper embossed with the seal design and then attached to the face of the document appeared.